Hello and welcome to our August e-bulletin. Following upon last month's announcement regarding the new Secretary of State for Transport Chris Grayling, we have seen five new announcements from the DfT e.g. on funding motorways, roundabouts and an expansion of London City Airport. Interestingly, the announcement regarding £529 million in road and port funding in the North West still has the Northern Powerhouse branding on it, although the term has elsewhere all but disappeared since Theresa May took charge. To repeat an important deadline from last month, the DfT Access Fund (details below) has an application deadline of 9 September. Our next Annual Conference & AGM titled 'Sustainable Travel in a Changing World' has a deadline of 31 August for papers - see our call for papers, sponsors and exhibitors. Our autumn events will be advertised in the next e-bulletin. 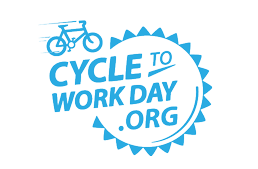 Now's the time to finalise your plans for Cycle to Work Day (14 September) and European Mobility Week (16-22 September) which culminates in a car-free day. In places where the word 'European' may be controversial, organisers can opt for simply 'Mobility Week' or use local branding for your events. Now in their twelfth year, the 2016 Cycle-Rail Awards recognise progress made by the rail industry and associated organisations towards encouraging integrated cycle-rail travel. The 2016 National Cycle-Rail Awards programme is open for entries and nominations, closing on Friday 9 September 2016 at 5 pm.